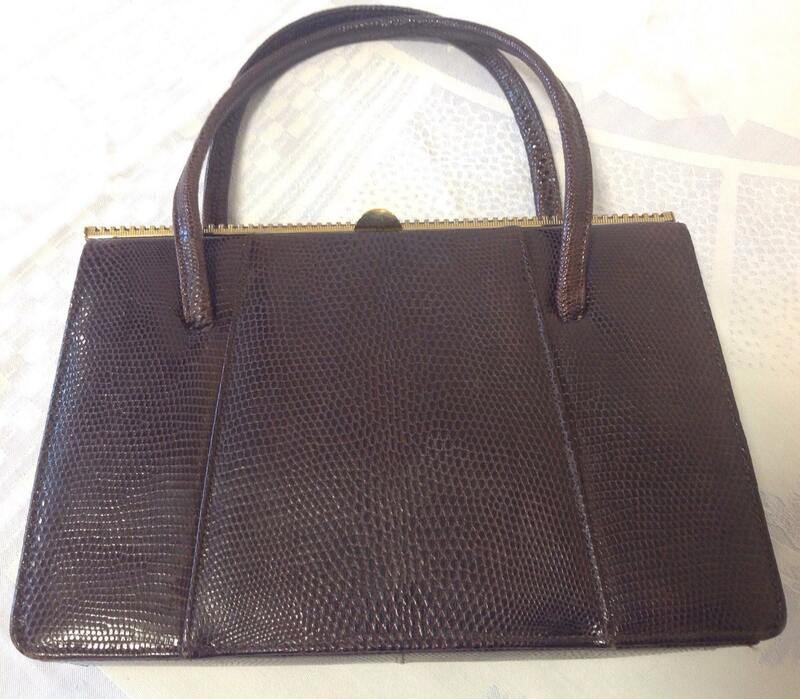 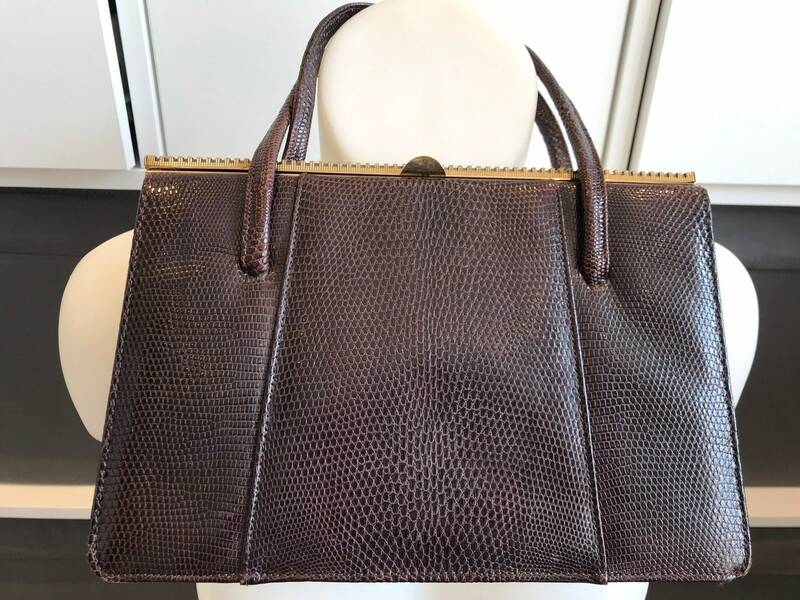 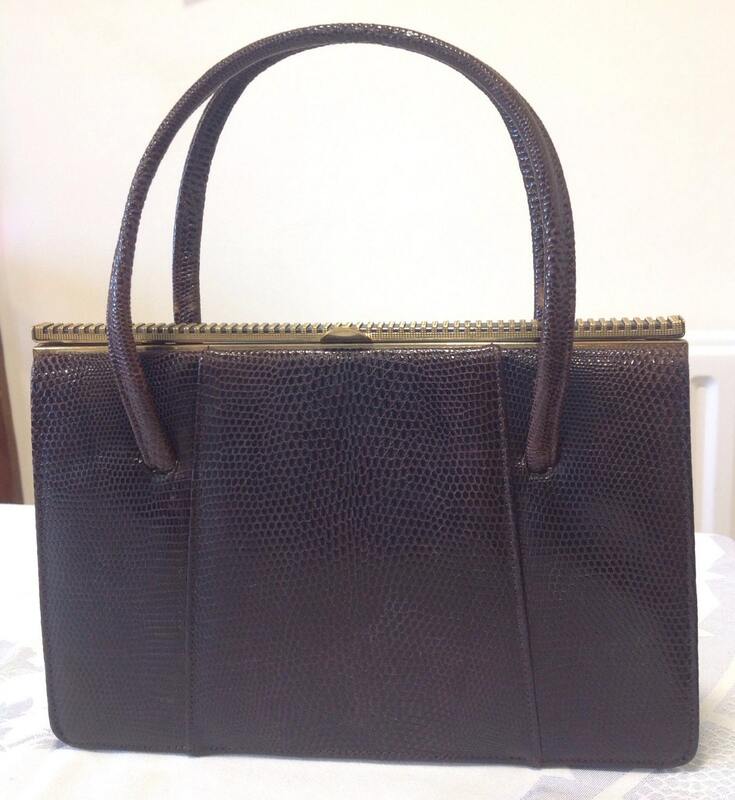 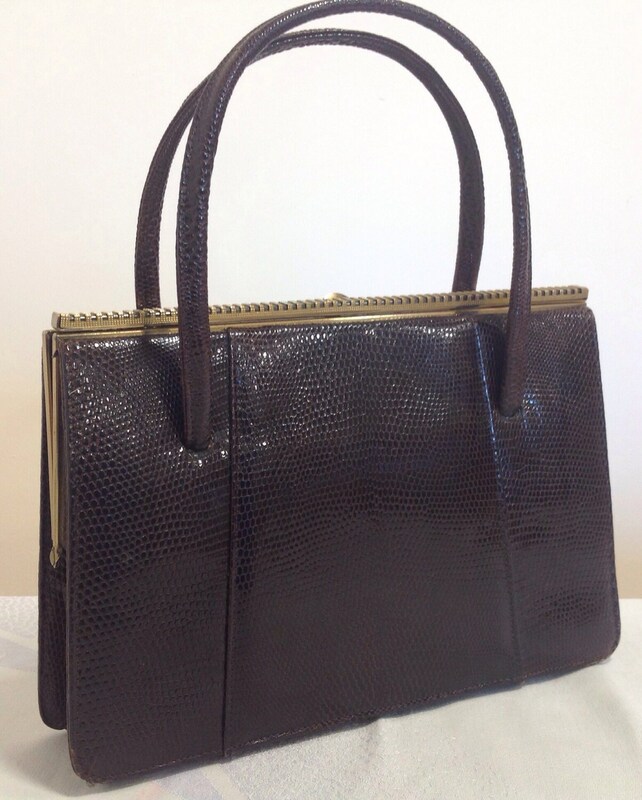 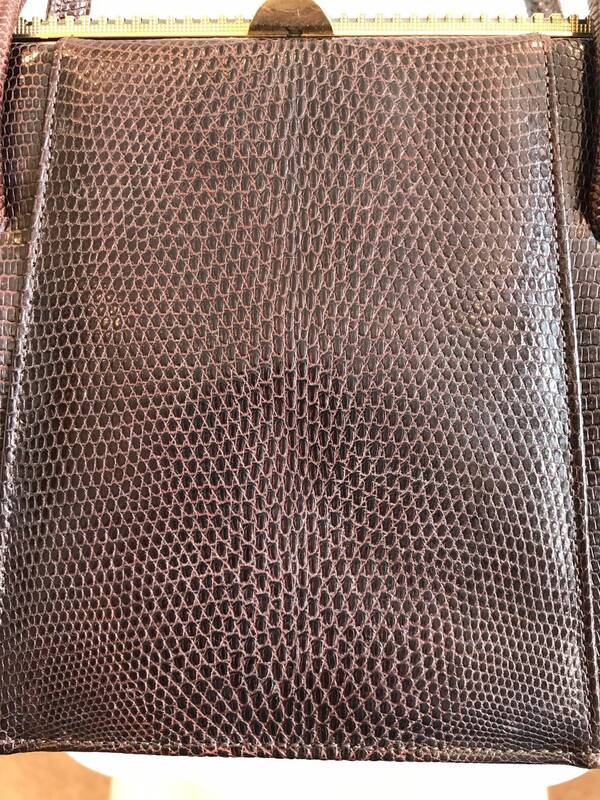 Here is a beautiful vintage 1950s kelly style handbag in dark brown lizard skin. 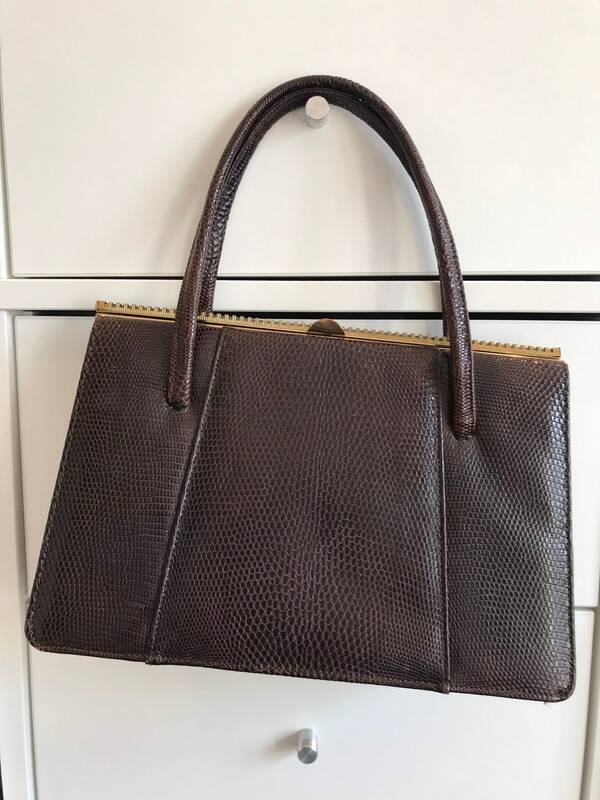 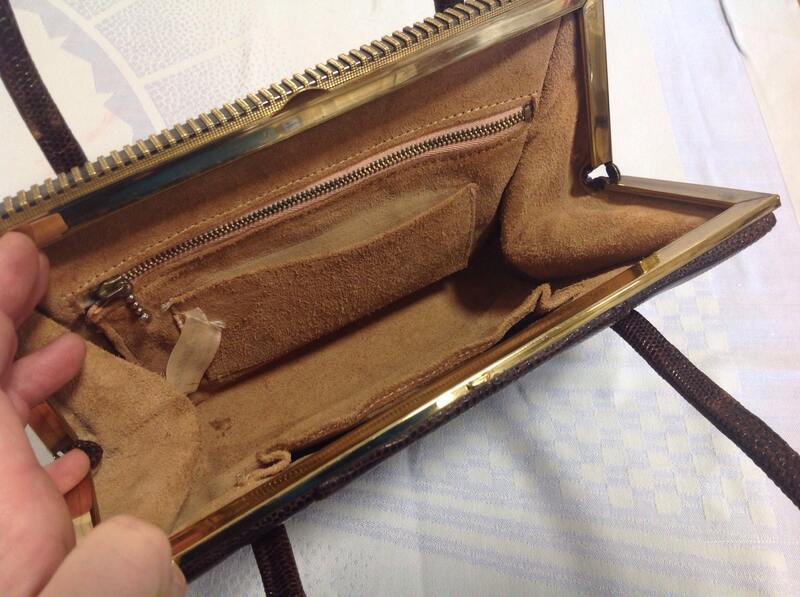 Suede lined with three inside compartments - one with metal zip closure the label reads Made in England Marquessa.The bag is in beautiful condition with no damage. 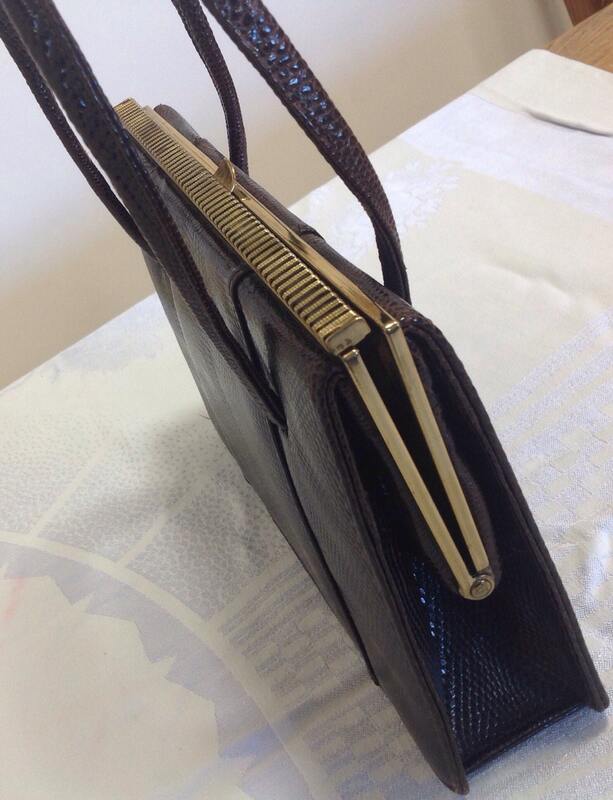 Width at widest point 10"	Depth - 2"
Height - 6.5" including handle 10.5".